​A board of directors is responsible for the running of GreenMatter to ensure the effective operations of the organization, and to facilitate relations with key stakeholders. The board is supported by a management team who recommends and executes GreenMatter’s strategic course with respect to major initiatives and programmes, as well as fostering relations with GreenMatter’s key stakeholders. An independent digital learning for social equity consultant who specialises in the enabling role of technologies in promoting equal education for all. She is also a qualified professional coach. University of Cape Town Graduate School of Business and is currently a PhD Candidate with the SARCHI Chair at the Centre for Education Practice Research, University of Johannesburg's Soweto Campus, where she also serves as Research Associate. Director for Biodiversity Education Empowerment & Human Capital Development at South African National Biodiversity Institute (SANBI). 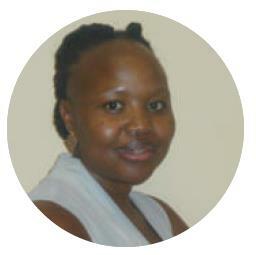 She holds a Masters degree in Environmental Education from Rhodes University. 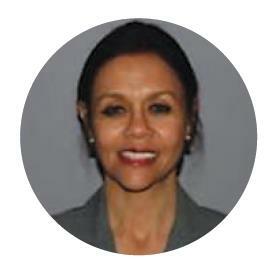 She has over 20 year experience in the environmental/biodiversity sector, working with various sectors including higher education institutions, all tiers of government, state entities, NGO's, SETA's, private sector, etc. She was involved in several research and policy development works that led to generation of qualifications, learnerships, training and skills development programmes. Ms Malema in her current role as Director Biodiversity Education and Empowerment led a pioneering human capital development programme, funded through the Presidential Jobs Fund, 'Groen Sebenza’. Honorary Fellow of the Mangosutho University of Technology (MUT),South African Journal of Plant and Soil (SAJPS), the South African Society of Crop Production (SASCP), the South African National Seed Organisation (SANSOR), the Academy of Science of South Africa's (ASSAf ). through Harvard University in Boston USA; MBA from UNISA and a MPhil in Management Coaching from the University of Stellenbosch Business School. She is currently a D.Ed. candidate at the Cape Peninsula University of Technology (2016). John Hanks is a zoologist by training with his first degree in Natural Sciences from Magdalene College, Cambridge, followed by a PhD on the reproductive physiology, growth, and population dynamics of the African elephant in the Luangwa Valley, Zambia. He has over 45 years of experience in a wide variety of conservation management, environmental education and research projects. He has worked in several African countries, including Angola, Botswana, Ethiopia, Kenya, Mozambique, South Africa, Zambia, and Zimbabwe. His major most important postings have been: Chief Professional Officer for the Natal Parks Board; Professor and Head of the Department of Biological Sciences, then the first Director of the Institute of Natural Resources at the University of Natal; the Director of the Africa Program for WWF International (based in Gland, Switzerland); the Chief Executive of WWF-South Africa; the first Executive Director of the Peace Parks Foundation. He has published over 150 scientific papers and three books. He worked at LEDET (Limpopo Department of Economic Development and Tourism for 11 months. He worked for the government in the biodiversity / environmental sector for 31 years. He has an extensive knowledge of conservation both at a national and international level. His interests are on capacity building with regards to Biodiversity Management and was part of the team that worked tirelessly to ensure that Groen Sebenza was a success story. Albert is currently self-employed and owns a property development business.